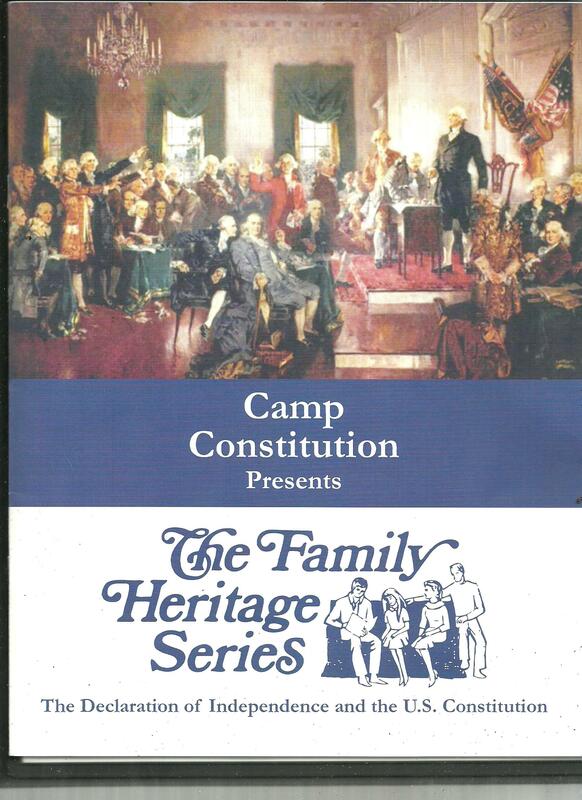 Camp Constitution Press just released “Camp Constitution Presents The Family Heritage Series.” This series was originally published as a weekly newsletter designed to be read at the dinner table with family members. It consists of a series of articles on the U.S. Constititution, the Declarartion of Independence, U.S. History, economics, and biographies. Camp Constitution Press reprints six of these in this booklet including “They Signed For Us, the story of the fate of the brave men who signed the Declarartion of Independence.